Deontay Wilder put together a video clip for rival Anthony Joshua and his promoter Eddie Hearn at the weekend which has gained quite a bit of attention thus far. As things stand, negotiations are still on going for the heavyweight super fight between Joshua and Wilder. A match that would see all four recognized heavyweight titles on the line and crown one, undisputed heavyweight champion of the world. 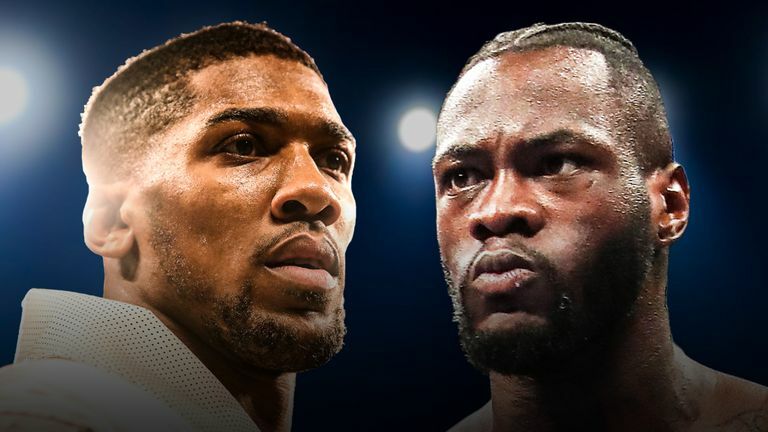 Things took a positive turn last week when Joshua’s promoter Eddie Hearn said a contract would be sent to team Wilder last Friday. But, no official updates have come since then. Reaction has been coming thick and fast from boxing fans with people not knowing who to believe. There is a clear feeling of USA vs UK in this whole Joshua vs Wilder negotiations saga. Yes I strongly believe that AJ will not go past Wilder 🥊 yes Wilder is relativ unknown but AJ was 2. All this bullsh about money ! Box the guy without pay !!! I am the best😳or am I ??? “Get him to the UK and I’ll knock him spark out! AJ after taking Parkers belt of him.A nearly 40 years old slow Ortiz came seconds from stopping Wilder!